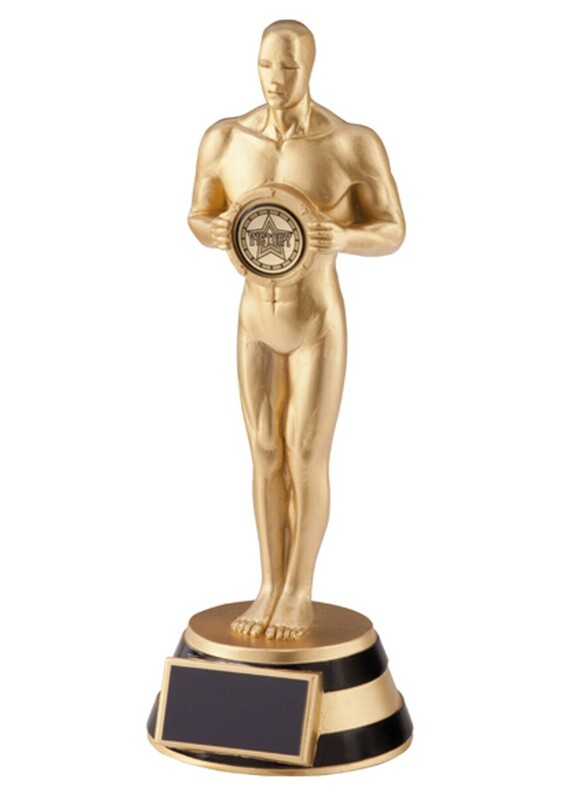 Resin Oscar Achievement Awards are a massive seller. Available in 3 sizes, 185mm, 210mm and 255mm high. Gold achievement trophy with black detail.